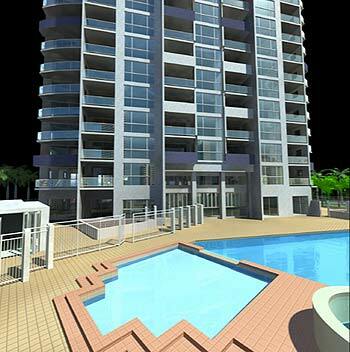 Ipanema is a near new and exciting 17-storey development. This unique hi-tech residential building is located on the beach side of the Gold Coast Highway, between Surfers Paradise and Broadbeach. Ipanema is a fully equipped resort with lavish amenities and architecture, elegant foyer and spacious apartments with ocean views. Every persons dream of todays lifestyle. 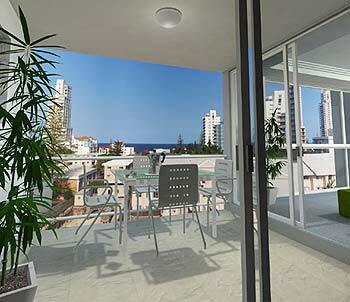 Ipanemas fabulous beachside position is just a few minutes walk to Surfers Paradise and Broadbeach entertainment. Elegant, stylish and different, Ipanema is a contemporary 17-level tower offering a choice of designs in one and two bedroom apartments. Selecting a dual key apartment, with the opportunity to reside in one unit or to let both, will maximize flexibility and investment returns. Apartment décor is vibrantly modern. 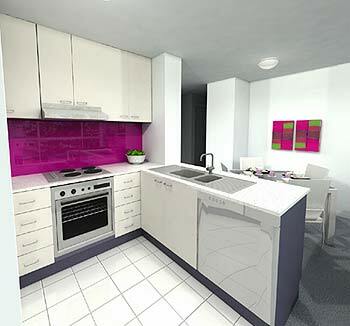 Kitchens feature granite benchtops, glass splashbacks and quality stainless steel appliances. Broad balconies offer panoramic views over the ocean and city, while every unit includes IT cabling, spacious living areas self-contained laundry. Ipanemas park-like grounds include a BBQ gazebo and two swimming pools, plus extra amenities such as spa, steam room, gym, licensed restaurant resort store and first-class conference facilities. Stroll through the exciting shops, or visit the many bars, clubs or restaurants of Broadbeach and Surfers Paradise.